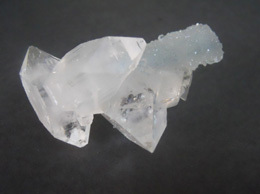 These Apophyllite double terminators are endowed with have clear and shiny crystals. The specimen is clear and without matrix which adds to its beauty and has a natural luster. 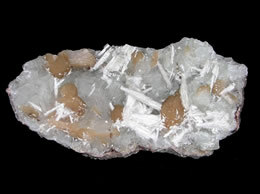 It is surrounded by beautiful apophyllite points. 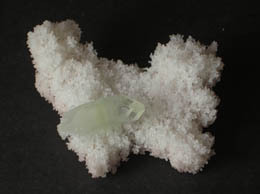 This apophyllite double terminator can be used as a great healing tool. This specimen will add up to your valuable collection. Approximate size 5 cm x 5 cm. 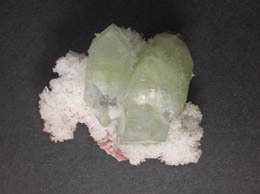 Sparkling Apophyllite Double Terminator specimen. The specimen is clear and without matrix which adds to the beauty of it. 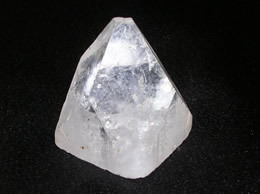 Apophyllite double terminator can transfer ideas gathered from the higher domains to be used with the conscious mind. 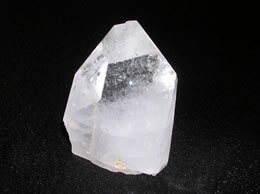 Meditating with an Apophyllite double terminator on the Third Eye Chakra can not only enhance one's psychic visions and clairvoyance, but it can also promote structure and organization in daily life. 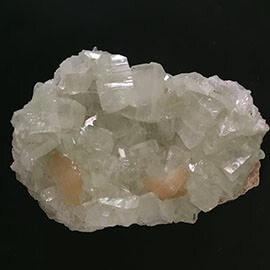 Apophyllite double terminator is also helpful for those that have seemed to have lost their way in the light and need an extra boost to find their ways back. It can assist one with courage and purpose to find their way back.